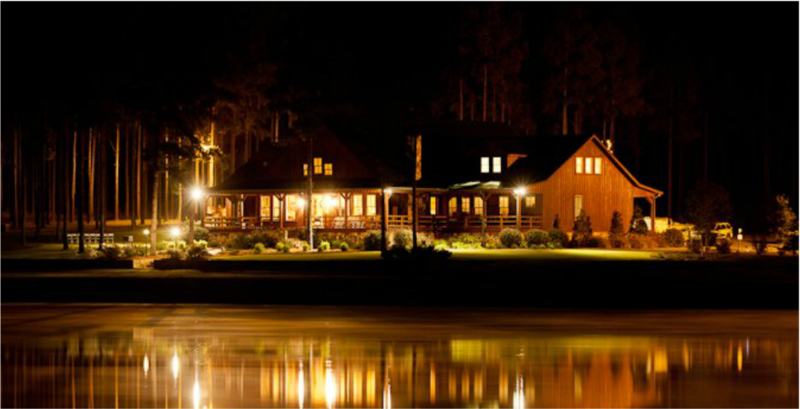 Overlooking the lake stands our 8400 square foot, rustic inspired Lodge. 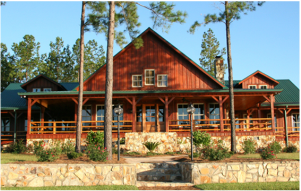 Beaver Creek Plantation's lodge is equipped with two conference rooms, ProShop, wet bar, comfortable lounge, and accommodations for dining 100 guests. If it’s spending time with your family and friends, having a wedding, or conducting a serious business meeting, Beaver Creek Plantation is the perfect place to hold your next event. An onsite chef, and bartender, are available for any catering needs your event requires. Lodging is available for up to 32 guests on property in one of our three exclusive facilities. For more information, contact Beaver Creek Plantation Sales.